In 1974, something strange occurred in the Southern Ocean. 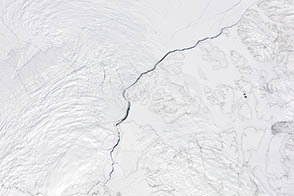 A large patch of open water formed amid the sea ice that rings Antarctica. 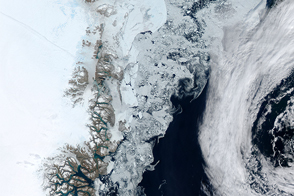 The Weddell polynya, covering an area about the size of Oregon, opened up again each austral winter through 1976 and then filled in again. Its extent remains unrivaled. 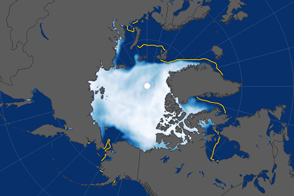 Polynyas are areas of open water that form in the Arctic and Southern oceans where you would expect there to be ice cover. They occur frequently near the shore of Antarctica, where winter winds move ice away from the coast. In contrast, the Weddell polynya is a less-common “open-ocean” type that forms farther offshore, driven by the upwelling of warm water. On August 14, 2016, the Moderate Resolution Imaging Spectroradiometer (MODIS) on NASA’s Aqua satellite captured this image of a large polynya in the Weddell Sea. 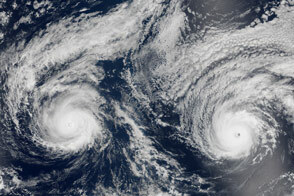 The image was acquired during the Southern Hemisphere winter, when the air near the ocean surface is below freezing and the water is normally ice-covered. After releasing heat into the air, the surface water becomes colder and denser, causing it to sink. The cycle continues until it is halted by warming spring air or the addition of lighter fresh water. 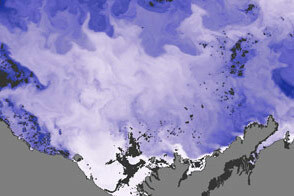 Such circulation and mixing of water layers is key to keeping an open-ocean polynya open. It is also thought to play a role in producing cold Antarctic Bottom Water, which helps to drive the global ocean conveyor belt. 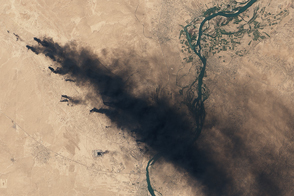 NASA Earth Observatory image by Joshua Stevens, using MODIS data from the Land Atmosphere Near real-time Capability for EOS (LANCE). Caption by Kathryn Hansen. 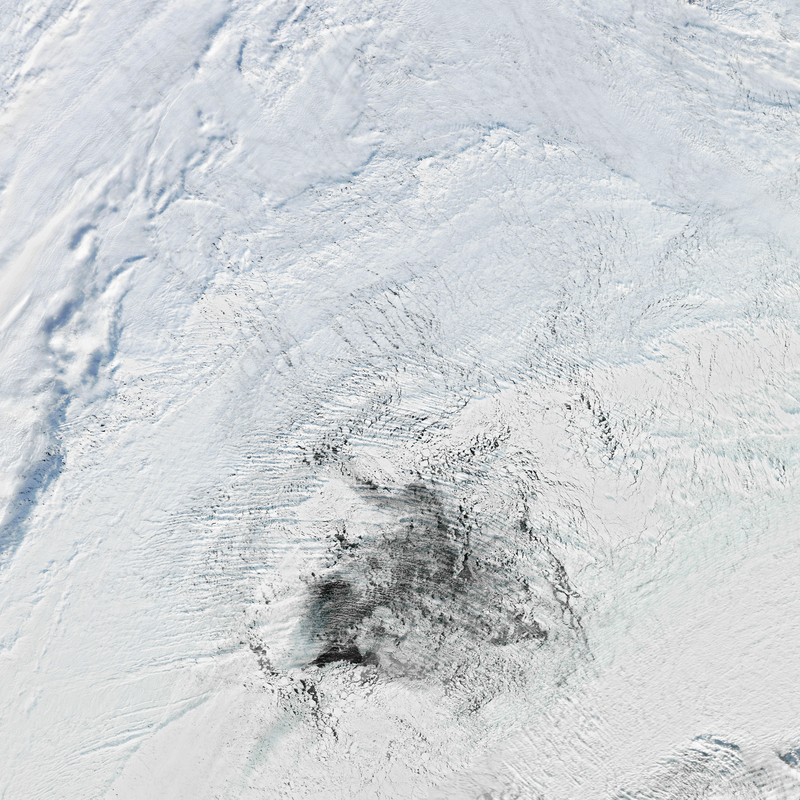 A patch of open water made a rare appearance amid winter sea ice in the Weddell Sea near Antarctica. Carsey, F. D. (1980) Microwave Observation of the Weddell Polynya. Monthly Weather Review. (108), 2032–2044. Gordon, A. L. et al. 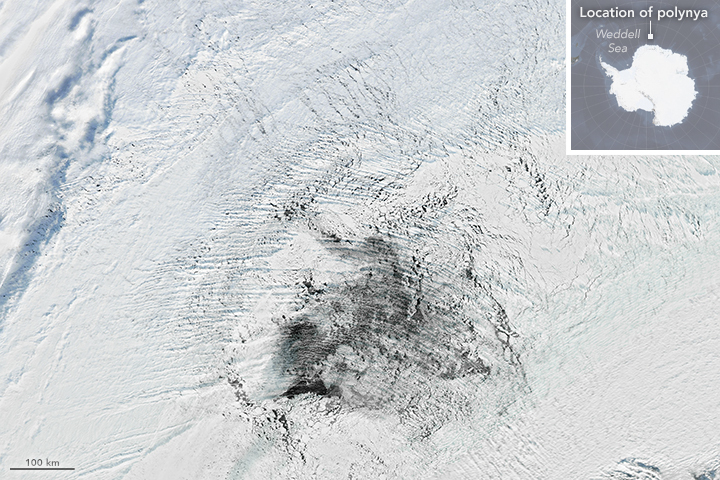 (2007) A possible link between the Weddell Polynya and the Southern Annular Mode. Journal of Climate. (20), 2558–2571. Martin, S. (2001) Polynyas. Encyclopedia of Ocean Sciences. (2001), 2241–2247. Parkinson, C. L. (1983) On the Development and Cause of the Weddell Polynya in a Sea Ice Simulation. Journal of Physical Oceanography. (13), 501–511. Twitter Lars Kaleschke. Accessed August 29, 2016.